Bhaktapur Durbar Square is one of the famous places in Nepal. It is enlisted in the world heritage site. It is located in Bhaktapur district in the Bagmati zone. Bhaktapur is about eight miles far from the capital city Kathmandu. It was the largest of the three Newa kingdoms of the Kathmandu valley the capital of Nepal during the great Malla kingdom until the second half of the 15th century. Today it is the third largest city of Kathmandu valley. It is known as Bhadgaun or Khwopa of Nepal because people used to sell paddies in Bhaktapur. There is the statue of Bhupatindra Malla in the courtyard of Bhaktapur Durbar Square. 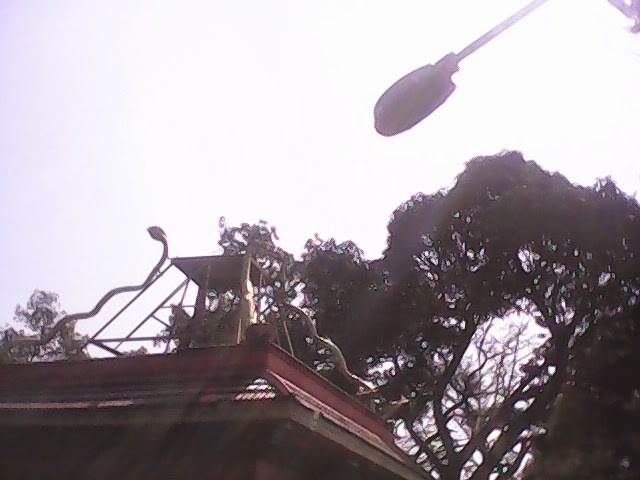 It is rich in culture, temples, wood, metal and stone art works. This city is famous for special type of curd called Juju Dhau which means king curd. Bhaktapur is still an untouched as well as preserved ancient city that is itself a world to explore for tourists. The art gallery contains ancient paintings belonging to the Hindu and Buddhist traditions of various periods and descriptions. This gallery is open every day except Tuesday. SIddha Pokhari is the famous pond of Bhaktapur. This is a big rectangular water pond located near the main city gate of Bhaktapur. It was built during the reign of king Yakshaya Malla in the early fifteenth century and is associated with a number of Myths. This statue showing King Bhupatindra Malla in the act of worship is set in a column facing the palace of the square. This is considered to be very magnificent. This magnificent palace was built during the reign of kind Yakshaya Malla in 1427 A.D. and subsequently remodelled by King Bhpatindra Malla in the seventeenth century. Among the bricks walls with their gracious setting and sculptural design is a balcony with fifty five windows considered to be a unique masterpiece of wood carving. The stone temple of Batsala devi has many carvings. Batsala temple is most famous for huge bell. In ancient time, if any king wanted to tell some information then the bell used to be rung. Then all the people gathered. And king used to give information to the people. Nowadays people worship the bell. The golden gate is said to be the most beautiful richly moulded specimen of its kind in the entire world. The door is surrounded by a figure of goddess Kali and Garunda and attended by the two heavenly nymphs. The golden gate is the loveliest art in the whole kingdom. One of the temples that are still existed today is the Nyatpole temple which was built in 1702 A.D. under the rule of King Bhupatindra Malla. This beautiful sculptural building is considered one of the tallest pagodas in the country and is the lovely example of the immense work mastership that went into building of this type. Bhaktapur is a social as well as religious place. It is very clean city. It is so peaceful. It is visited by a number of tourists everyday.